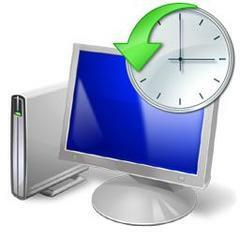 TimeShift, Linux system restore application, now is at v1.6. The new release supports cloning your Ubuntu to another device. BTRFS filesystem support is also available in a fork release. TimeShift is an open source application for Linux that provides functionality similar to the System Restore feature in Windows and the Time Machine tool in Mac OS. The utility takes incremental snapshots of the system using rsync and hard-links. 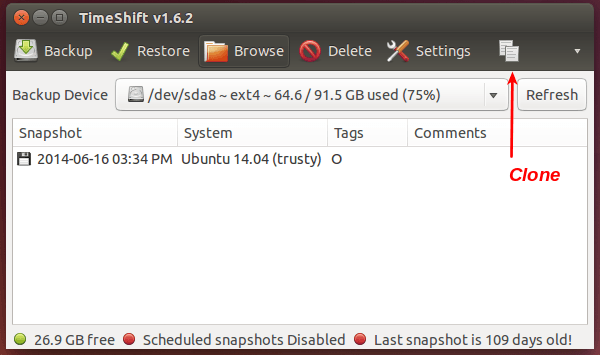 These snapshots can be restored at a later date to undo all changes that were made to the system after the snapshot was taken. A “Clone” button to clone your current system to another device. You can clone your Ubuntu install to a portable device and boot on another machine. Backups can now be saved on LUKS-encrypted partitions. Both rsync (normal version) and BTRFS version are available in the developer’s PPA for Ubuntu 14.04, Ubuntu 12.04, Ubuntu 14.10 and derivatives. Once properly installed, start it from Unity Dash, and you can receive future updates by running regular updates via Software Updater.